We are located at 7005 4th Street, in the Los Ranchos/North Valley area of Albuquerque, New Mexico ~ a sweet old adobe house set back from the road, on the corner of Pueblo Solano and 4th, where vintage linens hang on the clothesline. Don't hesitate to call us for directions: 505-344-7300. The three maps below (general area, specific neighborhood, and driving directions) should help you get here. 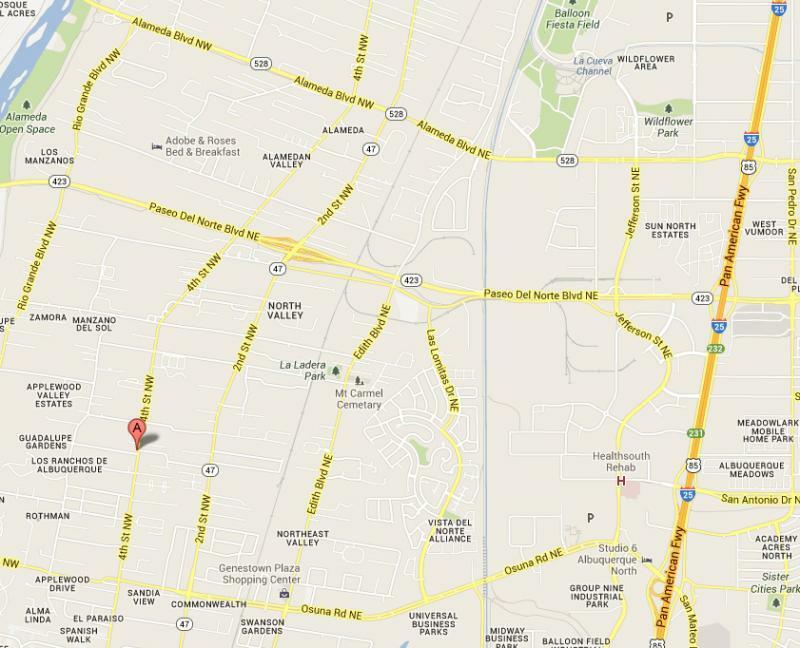 Click the Get Driving Directions link under the map for assistance. From downtown Albuquerque: Head north on 4th Street, continuing past Osuna approximately half a mile. We are just north of Dan's Boots and Saddles - the next left, Pueblo Solano - in the sweet adobe with the linens on the line out front. From Interstate 25 south into Albuquerque: Take the Alameda west exit. Continue on Alameda approximately two miles to 4th street. Turn left/south and continue on 4th street another 2 miles. There will be a feed store on your left, and Vintage and More is just past it on your right. 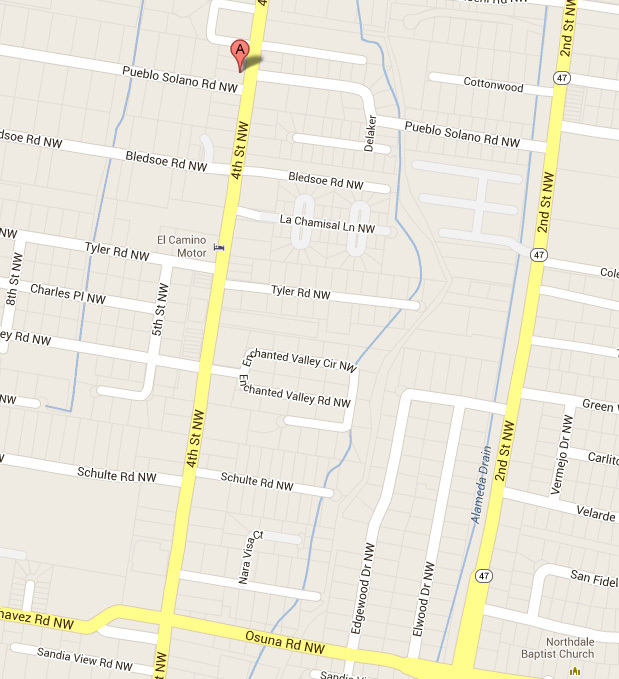 Turn right/west onto Pueblo Solano.